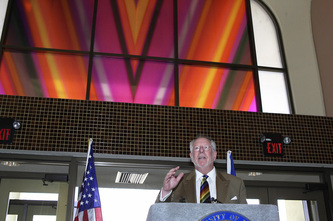 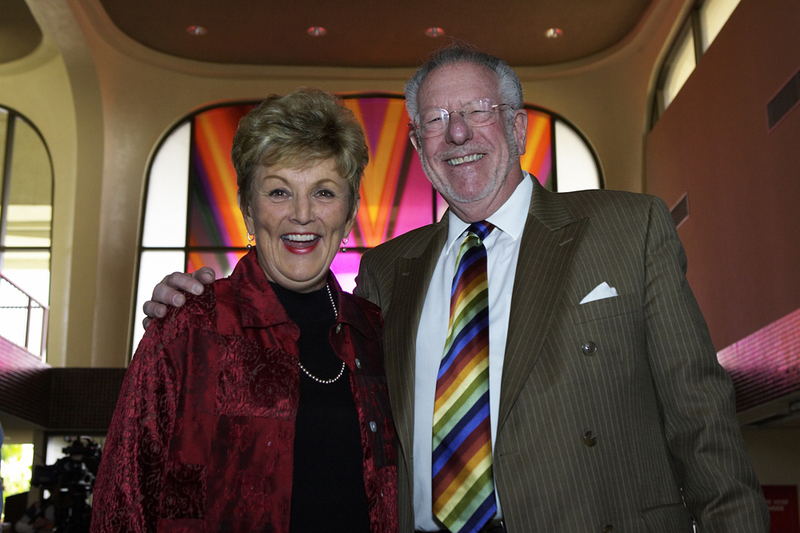 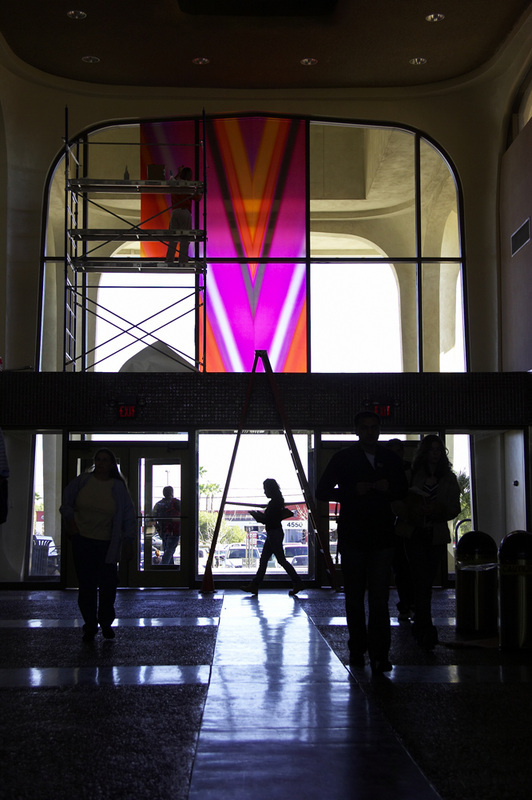 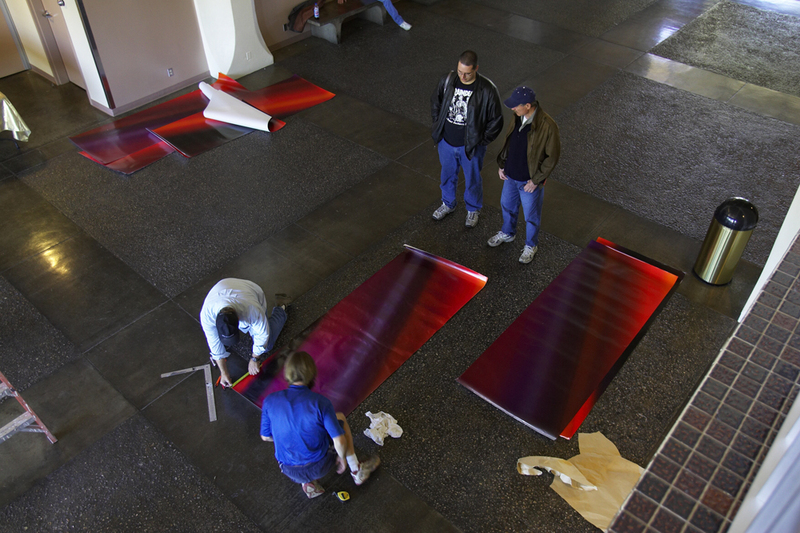 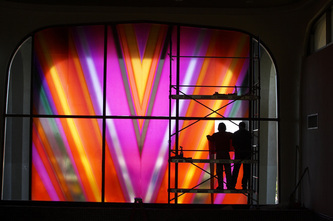 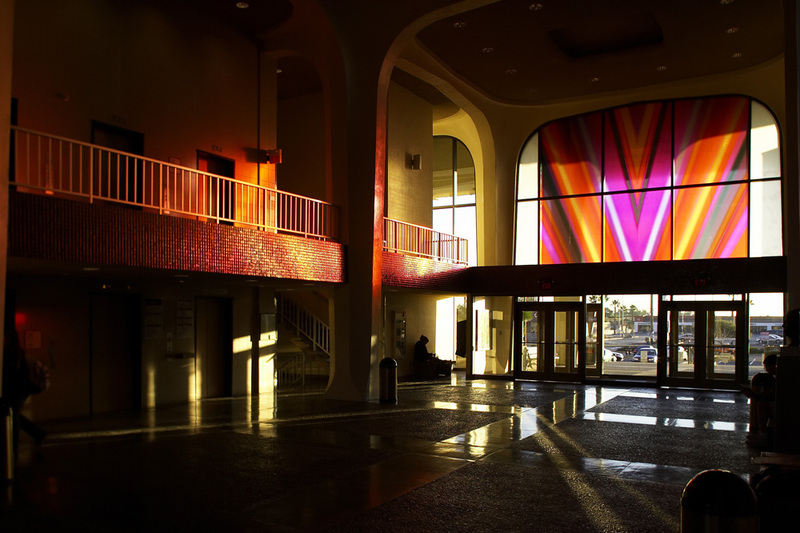 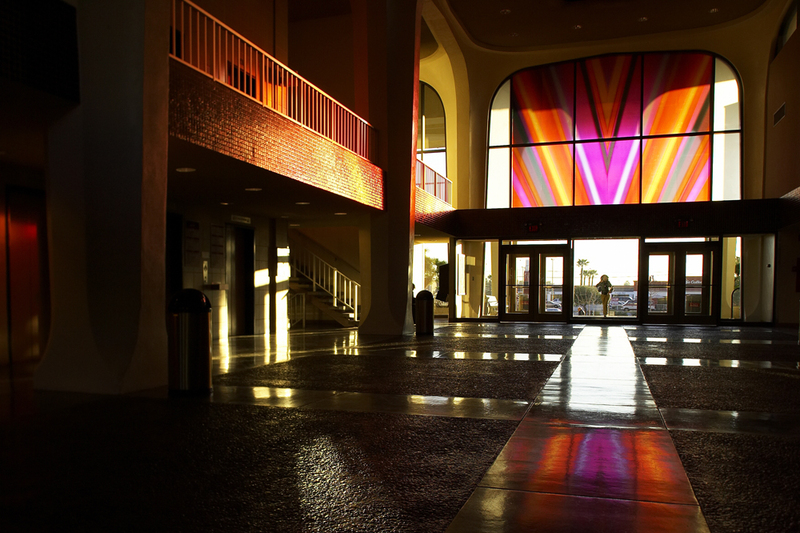 The Big V is a Clearfilm "mural" on the windows of the FDH Building at the University of Nevada-Las Vegas. 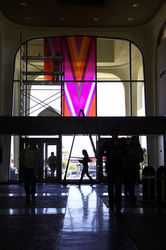 Installed as part of Las Vegas' City of 100 Murals Centennial celebration. 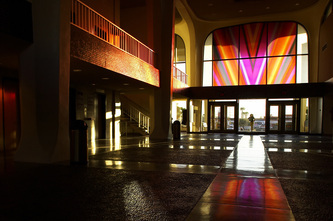 Removed in 2007 due to lack of upkeep on the part of UNLV.